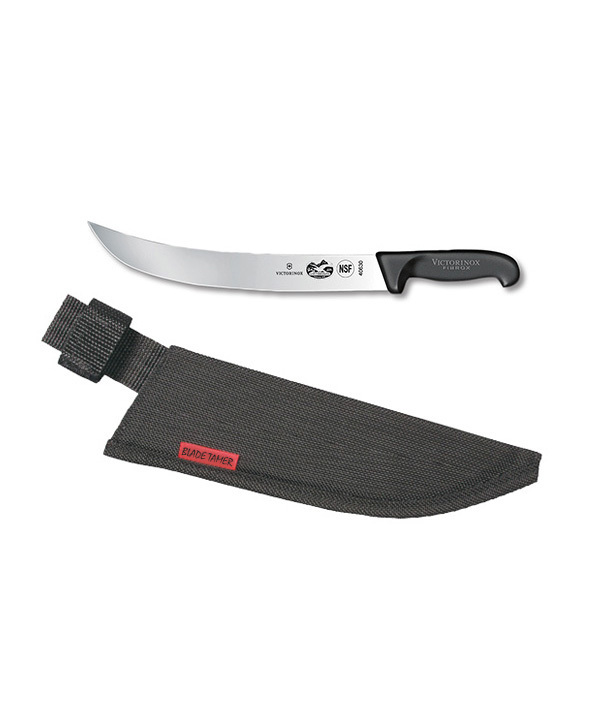 The 6″ Victorinox-Forschner black boning knife features a narrow semi-flexible blade and patented Fibrox handle that is slip-resistant when wet. This thin blade will get into all the nooks and crannies with the flexibility you need. An excellent, precision type blade that is great for trout, snappers, or other small reef fish. has a semi-stiff curved blade that is conically ground length and crosswise to achieve a wider break point. Fibrox handles adhere to H.A.A.C.P. standards. The black handle is a patented polyamide that is textured and slip-resistant when wet. This knife is fantastic for snapper, trout, and mackerel. Even small dolphin will be a breeze to clean. The distinctive handle color makes it easy to keep your eyes on your knife! The 6″ Blade Tamer sheath features a tough exterior made from military ballistic grade nylon. Strong webbing finishes the sewn edge of all our sheaths. 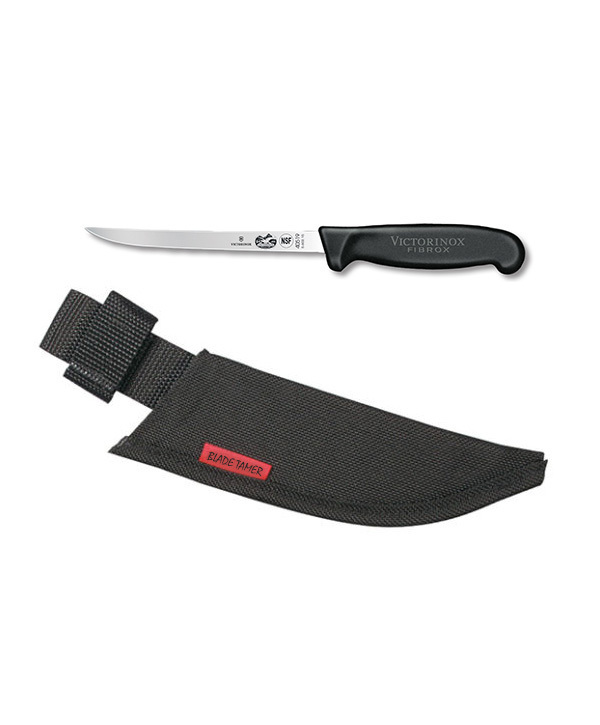 Durable nylon inner liner with an open tip for maximum drainage will keep your Victorinox knife unsoiled and protected. The belt loop attachment keeps the knife close, but also safe and secure.